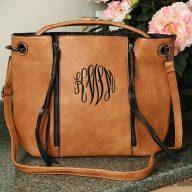 From feminine clutches, to the necessary cross body satchel, and an array of designer-inspired purses, I Flew the Nest has monogram purses and bags for any ensemble. 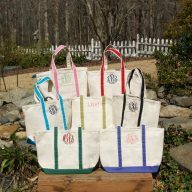 I Flew the Nest offers variety, with monograms to add personality to your selection. 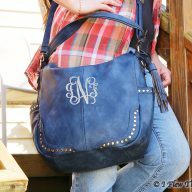 The Rylie purse brings versatility, with a chic element. 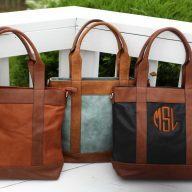 This “bag in bag,” lets you store additional items, such as cosmetics. 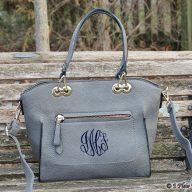 It’s made from vegan materials, has a change purse attached inside, and has a snap shut closure. 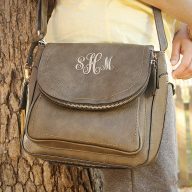 The cross body satchel is both youthful and useful. 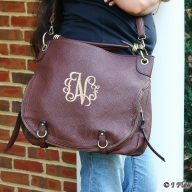 This bag can be worn day or night and has pockets for business cards, pens, and other necessities. 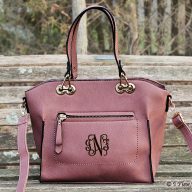 The satchel features a zip closure on top, two outer zip pouches, an interior pouch for your phone, and an inner zip pocket. 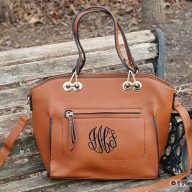 Our Katie purse is inspired by designer bags. 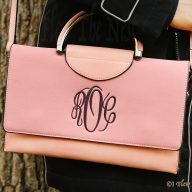 This purse is simple while also adding class to any ensemble. 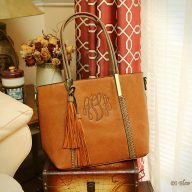 For additional storage of personal items, the Katie purse has a snap-in bag inside with a tapestry design and zip closure. 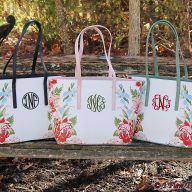 With a variety of colors, purses, and monogram styles, I Flew the Nest is confident we have the right monogram clutch purse for your style. 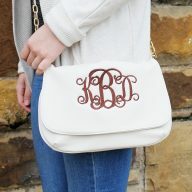 Our fold over bow monogram envelope clutch allows you to stay classy, while adding a bit of sass with a personal monogram. 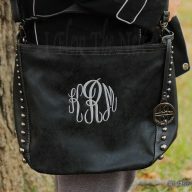 This clutch has a zip top closure, along with adequate pockets for credit cards. 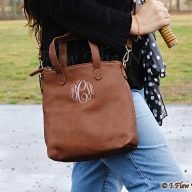 The gold hoop that wraps around your wrist is also accented with a perfect bow. 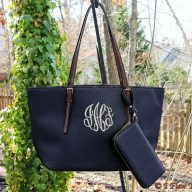 Available in cobalt blue, black, and winter white and with a variety of monogram options, I Flew the Nest’s monogrammed clutch can be customized to be perfect for any occasion. 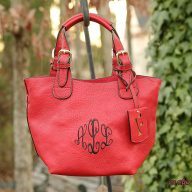 Need this purse in a hurry? 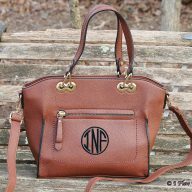 At I Flew the Nest, we offer customers a 24-hour turnaround time. 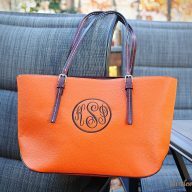 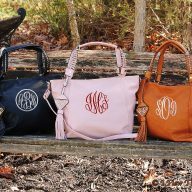 When you shop with us, you don’t have to worry about waiting for your monogram purse. 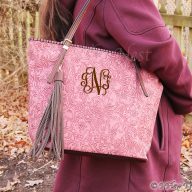 With stylish options, a fast turnaround, and quality customer service, I Flew the Nest truly is your one-stop-shop for the ideal monogram clutch. 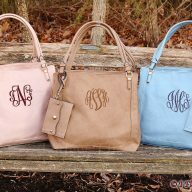 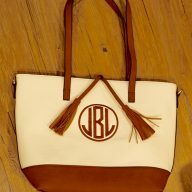 To find out more about our monogram purses and bags, please call us at 877-784-5849.